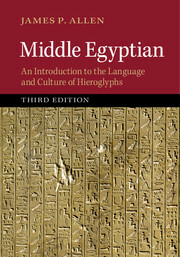 Middle Egyptian introduces the reader to the writing system of ancient Egypt and the language of hieroglyphic texts. 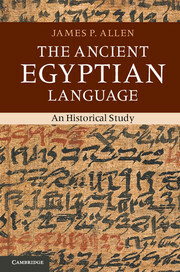 It contains twenty-six lessons, exercises (with answers), a list of hieroglyphic signs, and a dictionary. 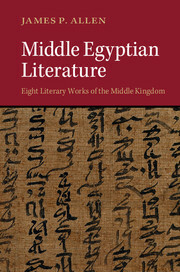 It also includes a series of twenty-six essays on the most important aspects of ancient Egyptian history, society, religion, literature, and language. 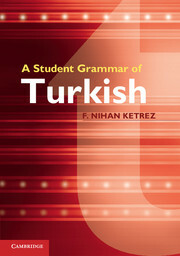 Grammar lessons and cultural essays allows users not only to read hieroglyphic texts but also to understand them, providing the foundation for understanding texts on monuments and reading great works of ancient Egyptian literature. 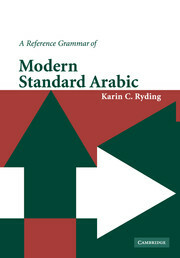 This third edition is revised and reorganized, particularly in its approach to the verbal system, based on recent advances in understanding the language. 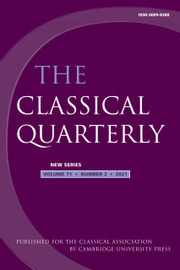 Illustrations enhance the discussions, and an index of references has been added. 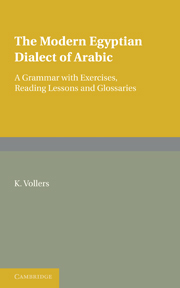 These changes and additions provide a complete and up-to-date grammatical description of the classical language of ancient Egypt for specialists in linguistics and other fields. 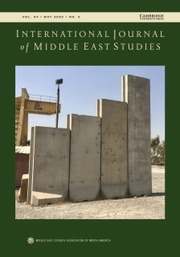 James P. Allen is the Charles Edwin Wilbour Professor of Egyptology at Brown University. He is a former curator of Egyptian art at the Metropolitan Museum of Art in New York and president of the International Association of Egyptologists. 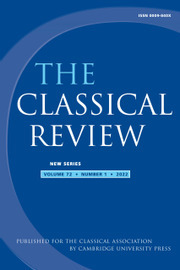 His previous publications include Genesis in Egypt: The Philosophy of Ancient Egyptian Creation Accounts (1989), The Heqanakht Papyri (2002), The Ancient Egyptian Pyramid Texts (2005), The Debate between a Man and his Soul (2010) and The Ancient Egyptian Language, An Historical Study (2013).